LPNs wanting to travel. One solution. 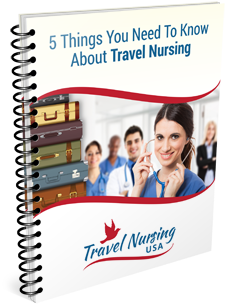 On a very regular basis I receive emails from LPNs who are interested in travel nursing assignments. It is understandable but the problem is that there just are not very many of these jobs available. If you find yourself in this situation you may want to consider becoming an RN. A lot of you are unable to go back to school for a variety of reasons but there is an alternative. It is possible to get your RN degree by studying at your pace at home by doing it online. One of the schools that does this is a prominent university working through The College Network. If you would like to receive free information on this program fill out this short form and I will see that you get it.